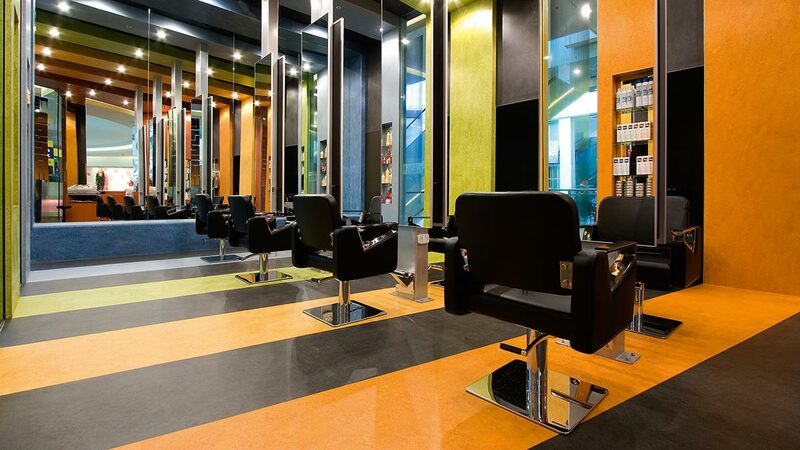 A brightly coloured, rainbow cocoon of Forbo Marmoleum has attracted the Fly Forbo Award 2010 for Giant Design Consultants of Crows Nest, New South Wales. 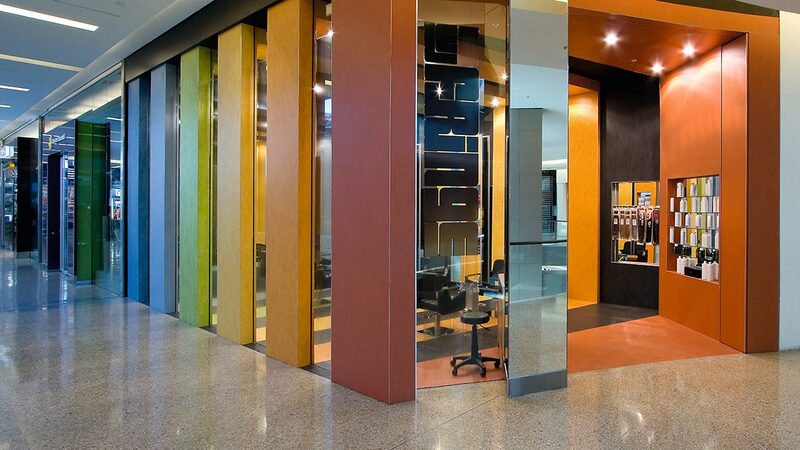 Their winning project, Le Fringe hair dressing salon at Westfield, Bondi Junction, features an exoskeleton ribbed effect of various shades of Marmoleum interspersed with glass which gives vantage to the continued colour panels across the floor and ceiling and a fully coved rear bench seat within the salon. The mirrored rear wall doubles the effect and coupled with the broadening, angled bands really plays with the perspective of the room.